The funeral service for Peter Brock was yesterday and the memorial service for Steve Irwin was today. Both were televised. They did a fantastic thing with Steve’s memorial and if you didn’t see it you should google for it. It was really lovely. Bindi Irwin, Steve’s 8 year old daughter, spoke at the memorial service and one can only say, that girl has a huge future ahead of her. She was brilliant. Have to get to bed early, got an early one tomorrow. Be good ya’all! 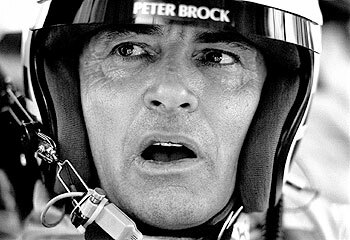 I honestly can’t believe I just wrote Vale Peter Brock. The events of today have just been totally bewildering to me. 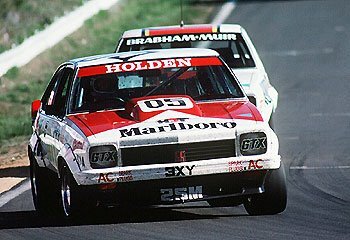 I met Peter Brock a couple of times but I am not the only Australian who did, he probably personally met at least 50% of the population which is an enormous amount of people. 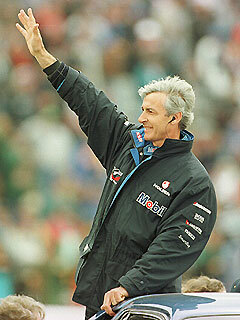 I want to mention one of the times because it showed me just how much this man cared about his fans. It was at Mallala in South Australia – I had spent the day there with Kenwood who were sponsoring Wayne Gardner (incidentally he was a great bloke also) and that included a pass to visit all the behind the scenes areas – so you could walk around in with the race teams and all the cars were kept back there and it was just fantastic. I bought a Holden jacket which I still have and below you’ll see a pic of Peter Brock himself wearing one that looks the same, and I thought I would try and get Brocky to autograph it. Well the race finished up about 3pm and all the drivers went back to their semi trailers and Brocky was one of the first ones to appear ready to sign things for the fans. Everyone was a little pushy, they all wanted him to sign their stuff first. He stood up and said hey guys, no need to push anyone around, I’m going to be here until everything is signed no matter how long it takes. There was probably 800-1000 people there, and some people had multiple items – people had bits of cars, posters, clothing, hats, all kinds of stuff. When it got to 6:30pm and there were still 300 or so people waiting in the line and I was getting cold and hungry I decided to call it a day, but friends of mine stayed behind and they were some of the last people there getting stuff signed at 10pm. True to his word, he stayed until the last autograph was signed. I still have not quite managed to process this week in my mind yet. 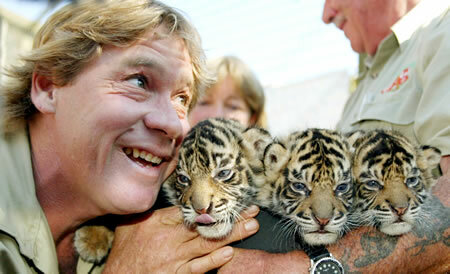 I have not really had time to sit down and think about a world without Steve Irwin and Peter Brock. I do not really want to, but it appears I must. Sadly it does not appear to have been an instant thing with Brocky and I would hate to think he was in any pain at all, even if it was just for a couple of minutes.